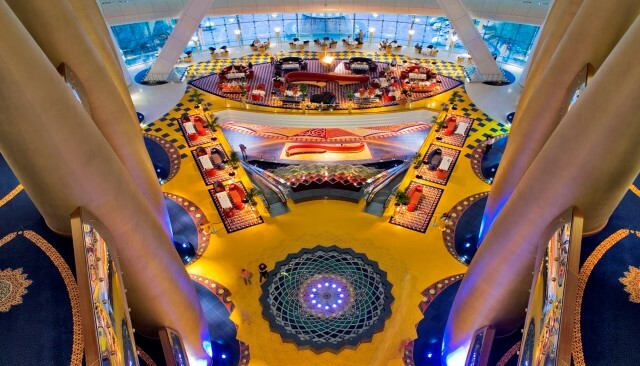 One of the world’s most iconic and luxurious hotels in the world - Burj Al Arab - was double recognized as the Best Hotel in the World and Best Hotel in the Middle East at the prestigious Ultratravel Awards -The ULTRAs- hosted by The Telegraph Magazine. At 320 meters high, it's the fifth tallest hotel in the world. Designed by British Architect Tom Wright, it put Dubai on the world map. The sail-shaped hotel was designed to reflect the iconic nature of the city under the vision of His Highness Sheikh Mohammed Bin Rashid Al Maktoum. This luxury landmark is a testament of the emirate’s past and still a window to its exciting bright future. Jumeirah Group continues to evolve with the recent addition of a Chief Culinary Officer to the senior leadership team. Previously working as Managing Director of the Michelin Guide globally, Michael Ellis has joined Jose Silva and team to position Burj Al Arab and indeed the wider group of Jumeirah hotels, as home to the best dining destinations in the Middle East and the world. Michael will be introducing two new Michelin starred Chefs into the team, working to further enhance the culinary offering of the hotel.